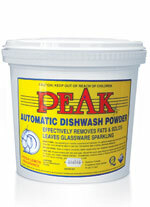 Suitable to remove the heaviest lime scale build up from dishwashing & glass washing machines. DIRECTIONS: Switch off the machine’s dosing equipment (if applicable). 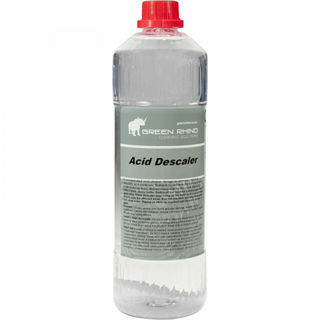 Dilute Descaler depending on the build up of scale and spray directly onto the affected areas. Run the machine and rinse thoroughly with clean water. Repeat as often as required until Descaler residue is gone. Cream Scouring liquid is ideal to clean and polish stainless steel, porcelain, ceramic tiles, bench tops, whiteware & most hard surfaces. Does not contain beads that may cause harsh scratching on surfaces. DIRECTIONS: SHAKE WELL BEFORE EVERY USE. Apply the cream to a damp clean cloth and rub onto the surface. Test on an inconspicuous area first. Rinse with water and dry with a towel for an outstanding finish. 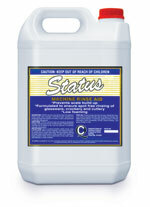 High quality rinse aid that prevents streaking and improves drying rate. 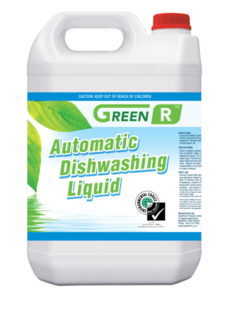 A non-toxic biodegradable and environmentally friendly cleaning & deodorizing agent. 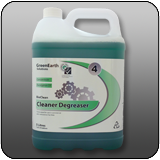 Works to eliminate odours and break down waste by enhancing the biological cleaning action of enzymes. 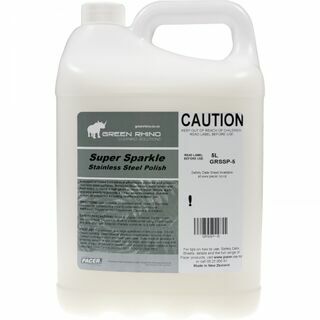 With many applications it is ideal to clean and deodorise drains, grease traps, septic tanks and liquid rubbish areas. Eliminates uric acid. 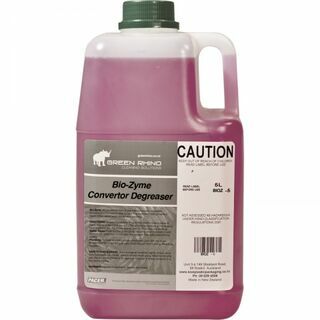 BIO-ZYME will also remove and inhibit bacterial growth. 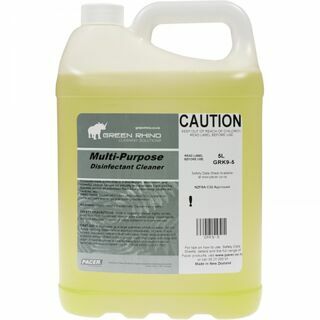 A top selling versatile, heavy-duty degreaser/ cleaner for removing grease & grime in food prep & service areas. Great around deep fat fryers, grills, range hoods, butcher shops, the BBQ etc. 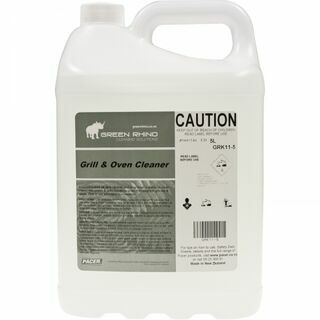 Industrial strength oven, grill & hotplate cleaner. Ideal for use in restaurants, takeaway outlets, commercial bakeries, etc. 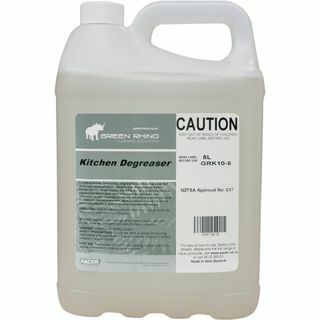 Can be used to clean range hood filters. DIRECTIONS: Use undiluted. Spray onto the surface. Allow to soak for at least 5 mins or more, and then agitate with a small brush or sponge before rinsing clean with water. Do not allow to dry on the surface. 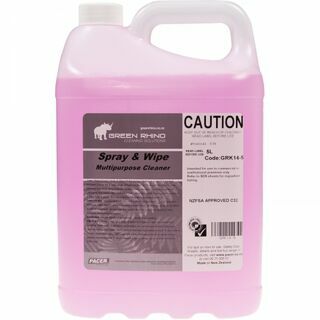 A popular triple action solution that is a disinfectant, deodoriser and powerful cleaner for use on virtually any washable hard surface. Suitable across all industries from food processing, healthcare facilities etc. 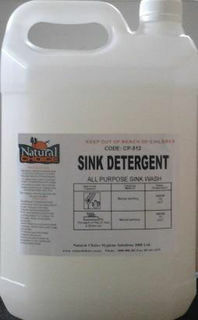 DIRECTIONS: Diluted ratio 1:4 to clean tables, food preparation surfaces, walls and for general building maintenance. 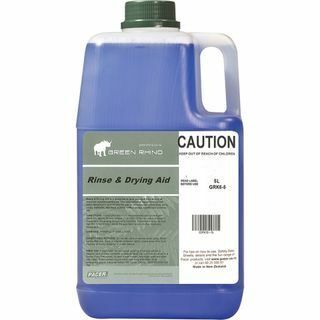 Rinse & Drying Aid is designed to give you spot free drying of machine washed tableware. 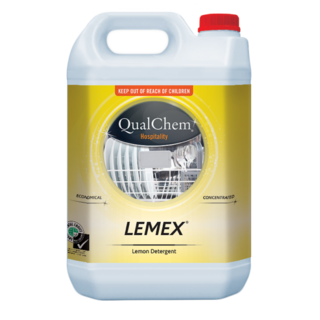 The concentrated liquid formula has been developed specifically for use in commercial restaurants, bars, clubs, bakeries, fast food outlets, coffee shops, healthcare facilities etc. DIRECTIONS: Follow your machines recommended ratio of detergent. If glassware is cloudy then the ratio is too strong - adjust the auto feed valve until the cloudiness disappears. A mineral oil based paste that effortlessly polishes and protects stainless steel surfaces. 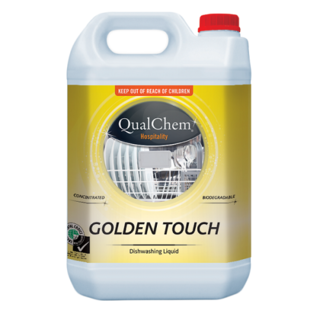 Removes fingerprints, water spots and food stains to leave a high gloss & long lasting dry protective shine. Suitable across all industries including healthcare facilities etc. DIRECTIONS: Use a clean dry cloth and apply evenly. Wipe clean for an outstanding finish.